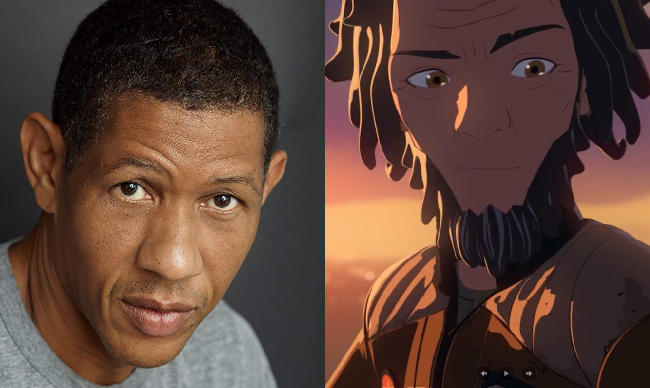 The voice cast includes Christopher Sean (“Days of Our Lives”) as Kazuda Xiono; Suzie McGrath (“East Enders”) as Tam Ryvora; Scott Lawrence (“Legion”) as Jarek Yeager; Myrna Velasco (“Elena of Avalor”) as Torra Doza; Josh Brener (“Silicon Valley”) as Neeku Vozo; Donald Faison (“Scrubs”) as Hype Fazon; Jim Rash (“Community”) and Bobby Moynihan (“DuckTales”) as Flix and Orka, respectively; Oscar Isaac (“Star Wars: The Last Jedi”) as Poe Dameron; Gwendoline Christie (“Game of Thrones”) as Captain Phasma; and Rachel Butera (“Tammy’s Tiny Tea Time”) as General Leia Organa. So, we know who is playing who, but what do they look like and what will they be doing? 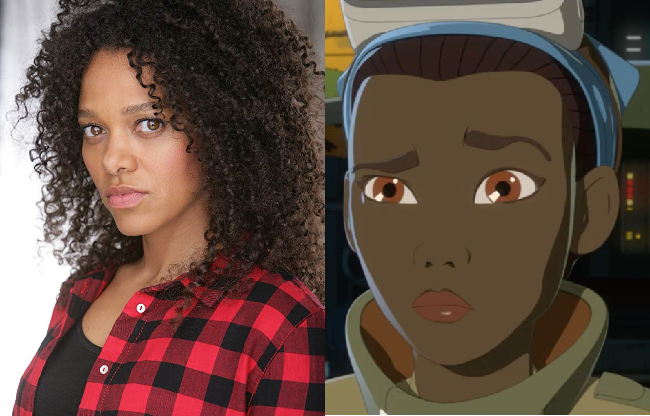 I've matched the cast list with the images we've seen now from the trailer, based on information we already have and some new things we've just learned. Since not all characters have been confirmed, I've placed them into groups of for sure, most likely, maybe and we have no idea...I of course expect to wrong on one or two. Oscar Isaac was one of the first two names confirmed for the new show and since we already know who Poe Dameron is, it was just a matter of time before they released their rendering of the Black Squadron leader. We know that he is the one who sends "Kaz" on his secret mission to spy on the First Order. 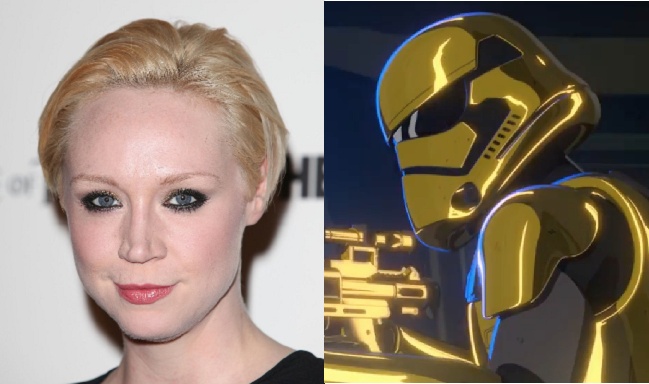 Along with Isaac, Gwendoline Christie was the other name that was announced first when the show was announced. Again, we know what her character Phasma is all about, it's just a matter of how much she'll be involved and how soon we see her. We get a glimpse of her in the trailer, but she doesn't speak. 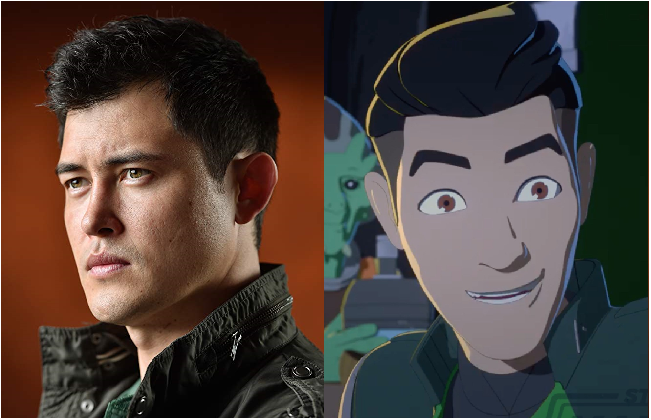 Christopher Sean was the first name attached to one of the new characters, and it makes sense since the young actor is playing the lead role of pilot Kazuda "Kaz" Xiono. 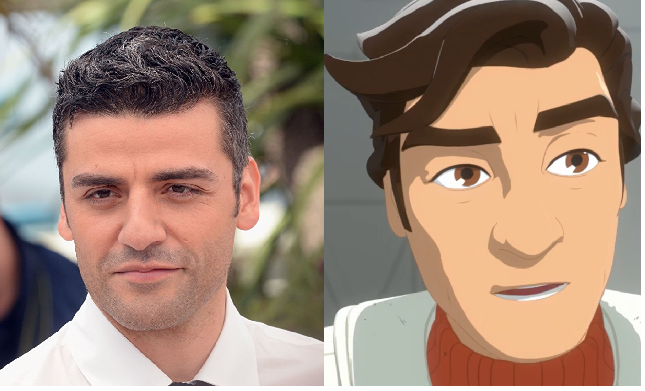 "Kaz" as we mentioned is sent undercover by Poe Dameron to spy on the First Order on the fuelling station "Colossus". Veteran actor Scott Lawrence will be playing Jarek Yeager, an old friend of Poe Dameron's who runs a shop on "Colossus". He along with his team of Neeku Vozo, Tam Ryvora and their droid "Bucket" take in Kaz as one of their own while he runs his mission. 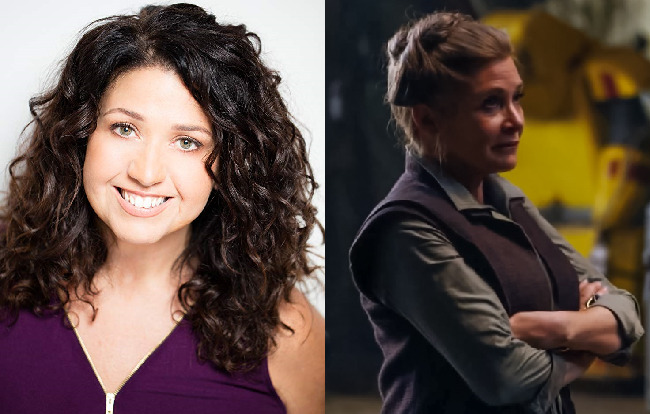 Announced after the trailer was released was that veteran comedian and voice actor Rachel Butera was going to provide the voice of General Leia Organa for the new series. 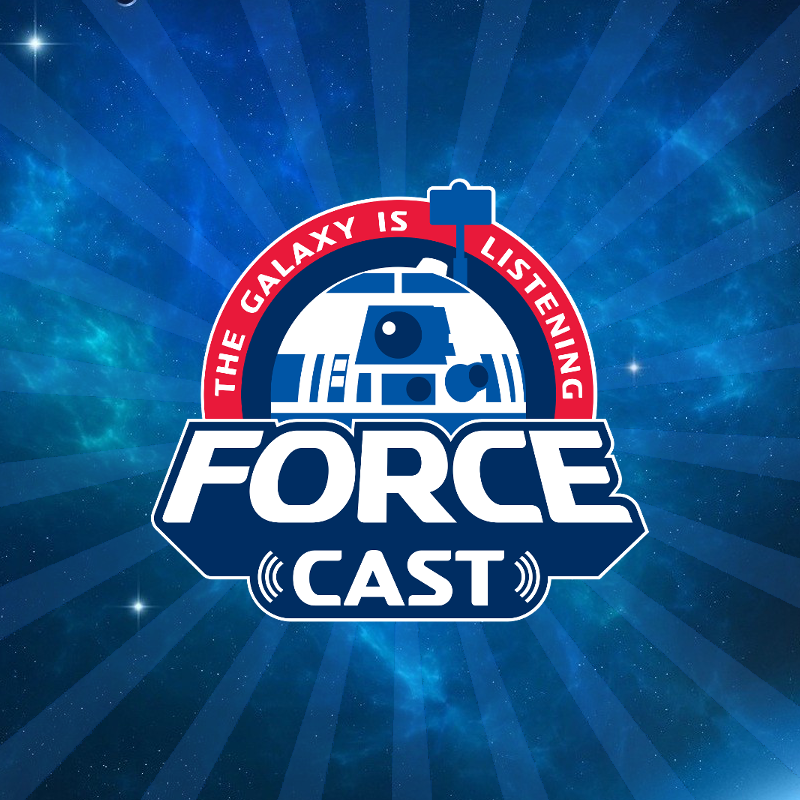 Yes, that General Organa! Makes sense to have the founder and leader of the Resistance appear in a show about the Resistance but it certainly came as a surprise. While they didn't show Leia in the trailer, it is safe to say we all know what Leia looks like around that time thanks to The Force Awakens. 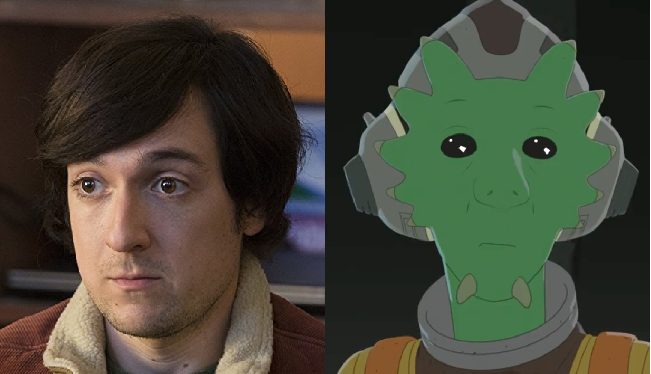 We know from other press releases that Yeager's team is comprised of mechanics Neeku Vozo and Tam Nyvora and we know that they are being played by Josh Brener and Suzie McGrath respectively. There are two characters that appear with Yeager and Kazuda a couple of times and whose voices line up with their actor counterparts...so I'm calling this one "most likely". 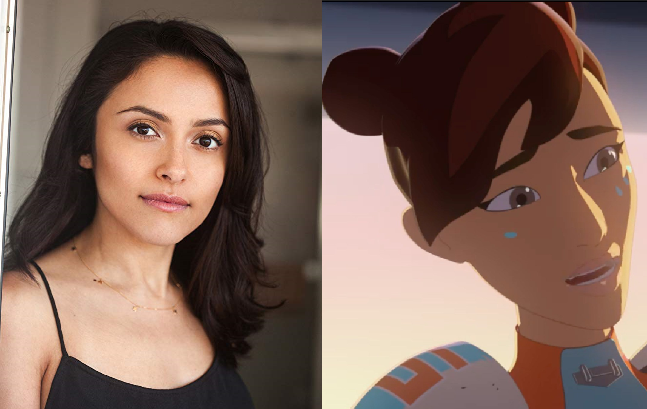 This one I'm using voice comparison and the process of elimination so it looks like the character of Torra Dozo will be played by voice actress Myrna Velasco. Dozo looks to be another pilot competing with "Kaz" in the sky-races and a potential romantic interest. Whether she ends up being on the side or the Resistance or the First Order remains to be seen. It would obviously make it more interesting if it was the latter. 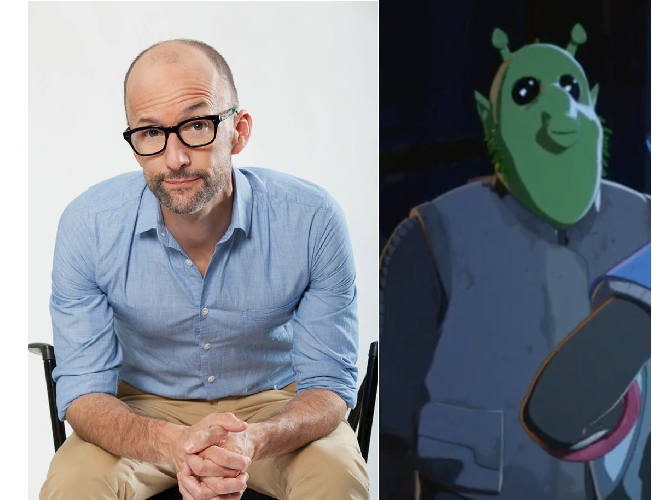 For this first one I'm going off an interview Jim Rash did with ET where he said, “You’ll here my voice come out of a creature. 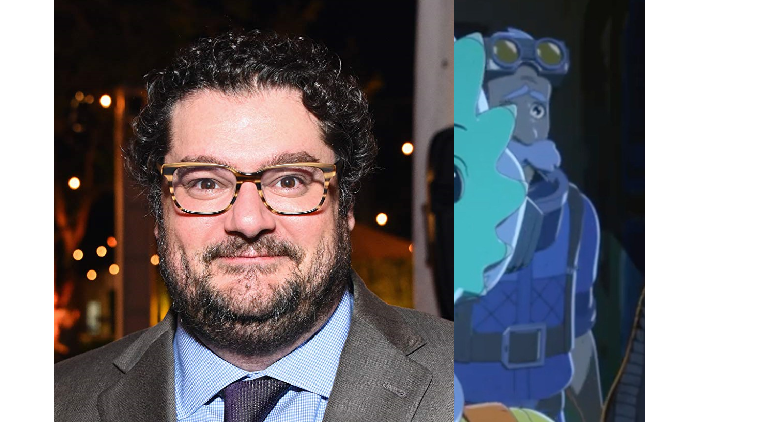 It’s really cool.” And we know that he and Bobby Moynihan play a pair of maintenance crew called Orka and Flix, so based on a quick glimpse we get in the trailer, I'm saying Rash is playing the Rodian named "Flix". In that same interview Rash also mentioned, “Bobby Moynihan and I are basically two guys who basically run the equipment. You know, sort of check-out area. Sort of like an Oscar/Felix from The Odd Couple." 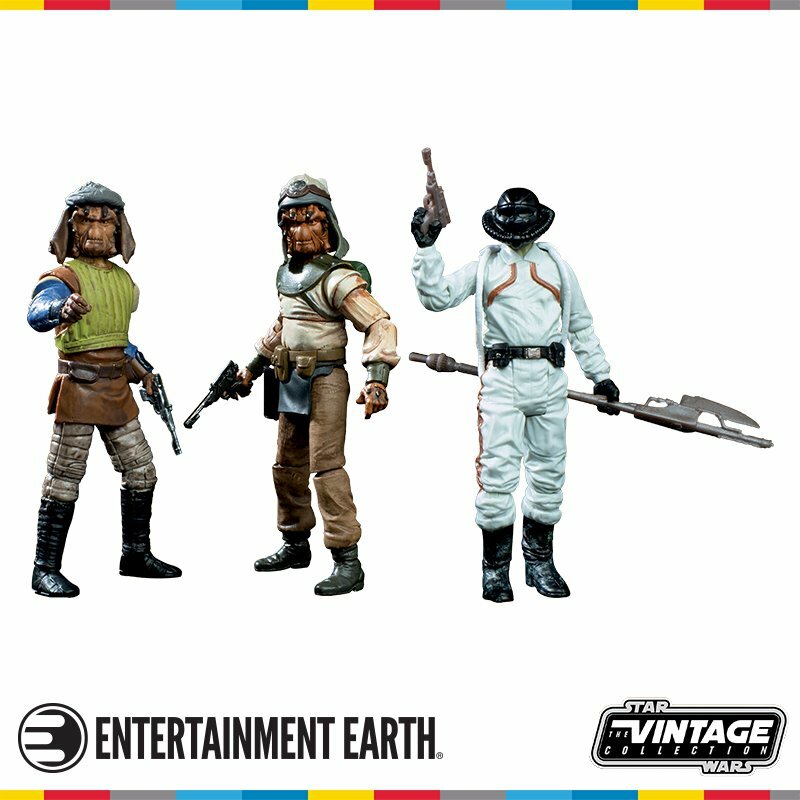 Based on the image, it doesn't get more "odd" than the old guy standing next to the Rodian. 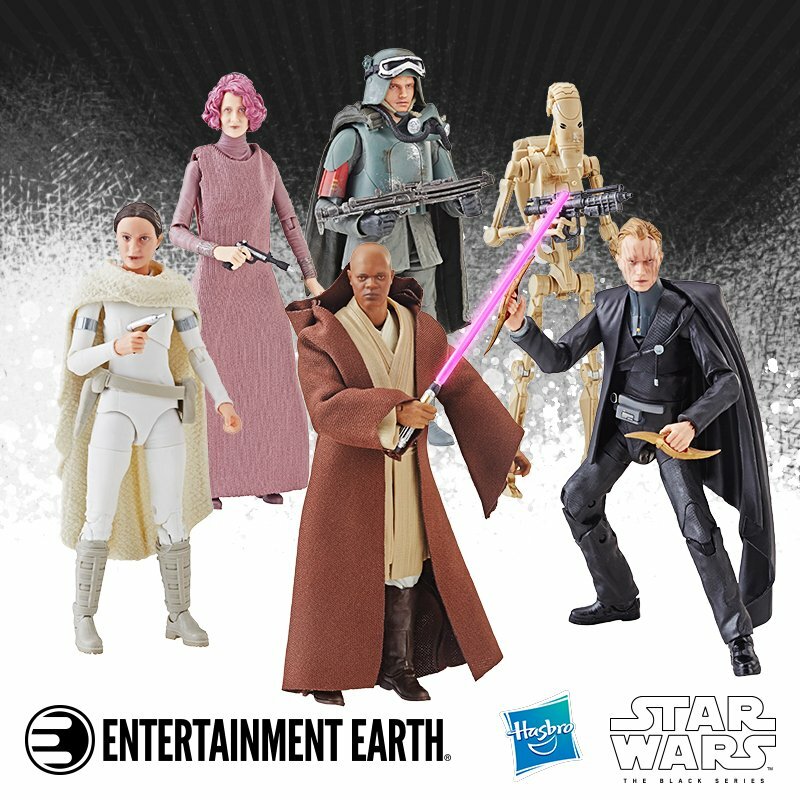 So, just guessing, but I'm saying Moynihan is playing the human "Orka", standing next to Flix. 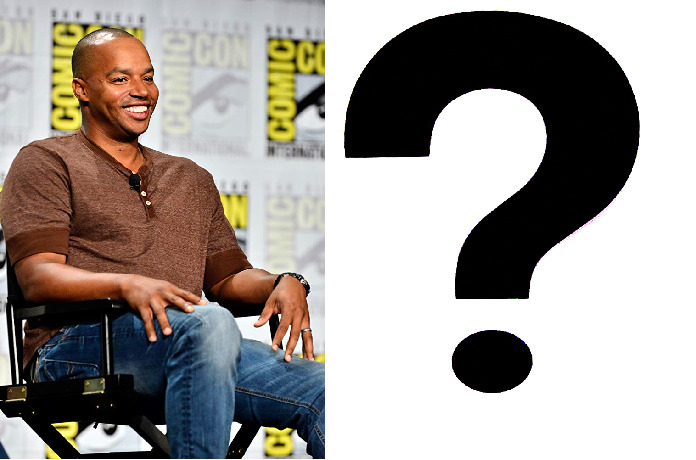 We know that Donald Faison is playing the character named Hype Fazon but that's about it. There are other characters shown in the trailer that we haven't mentioned but we don't hear them speak and we don't have a character description for Fazon that I'm aware of. This one we'll wait for with either another trailer drop or when the show premieres. So that's the cast as we know it to be right now. Like I mentioned this is just guess work for the most part so it's likely to change. 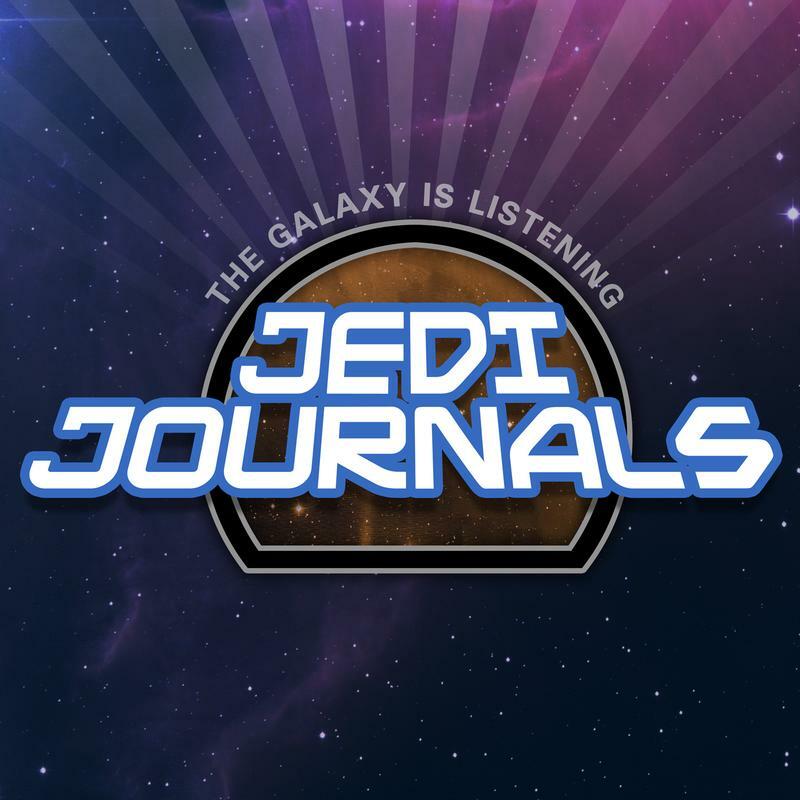 But that gives us a pretty good idea of what we can expect from this exciting new series. I for one already have my favorites picked out, what about you? 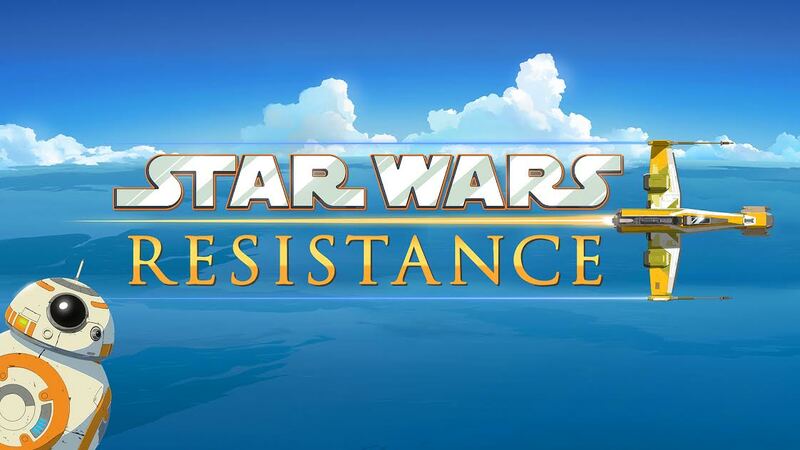 Star Wars Resistance premieres Sunday October 7th on the Disney Channel.